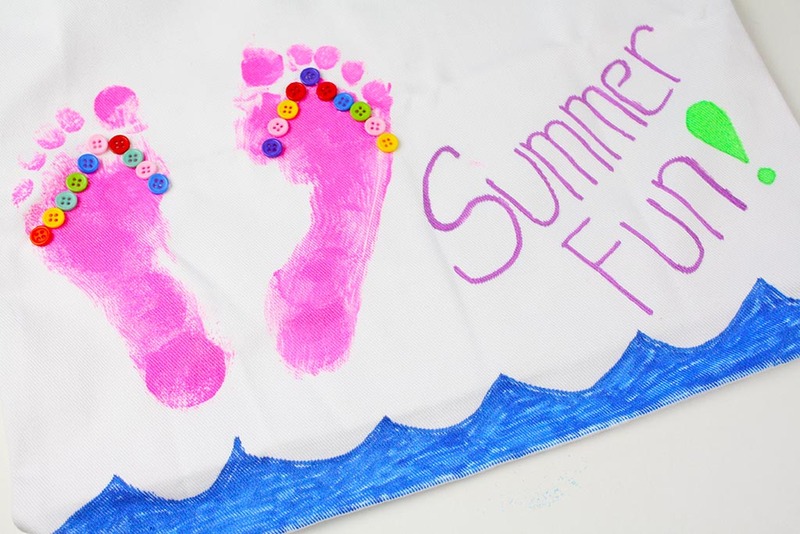 DIY Flip Flop Beach Bag is a great kids craft. 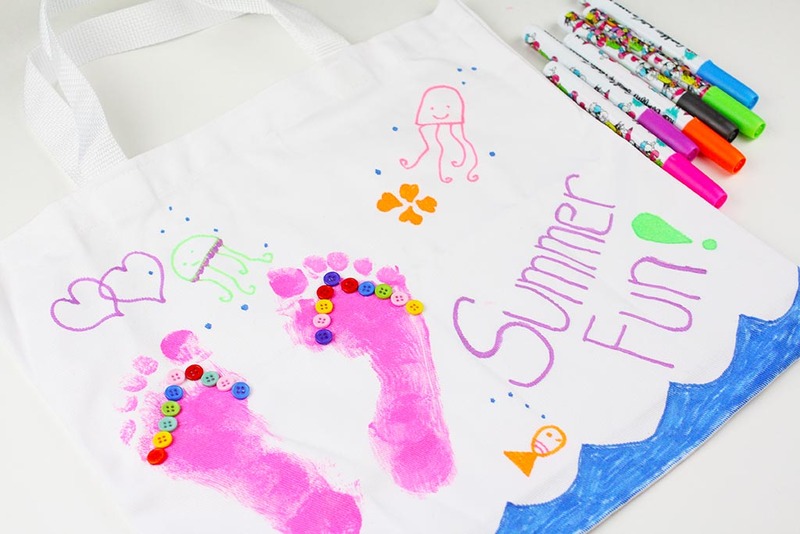 This bag will have kids keeping all their beach gear together so they can tote it all in a super cute bag. Hi guys! It’s Shauna from Ella and Annie. 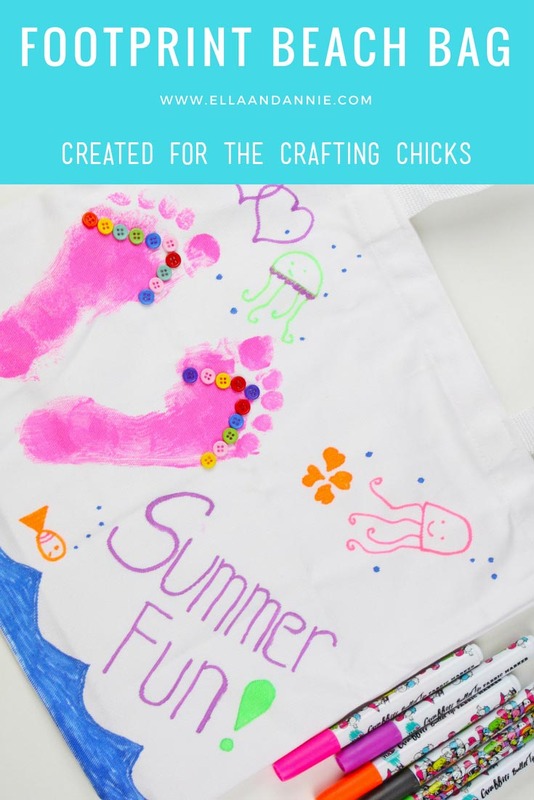 The girls came up with a super fun summer craft that will help keep all their swim gear and beach toys in one place! We are constantly looking for water shoes, goggles, swim suits, you name it. Ella and Annie thought that if they had their own beach bag it would help them stay more organized. We found some cute medium sized canvas bags at Joann’s craft store; you may even find them at the dollar tree. Before you begin, you’ll need to grab a few supplies. Start by placing wax paper or a folded rag inside the bag so that the paint and markers do not go through to the other side. Make sure you lay a towel or newspaper down on the ground, then place the bag on top of it. 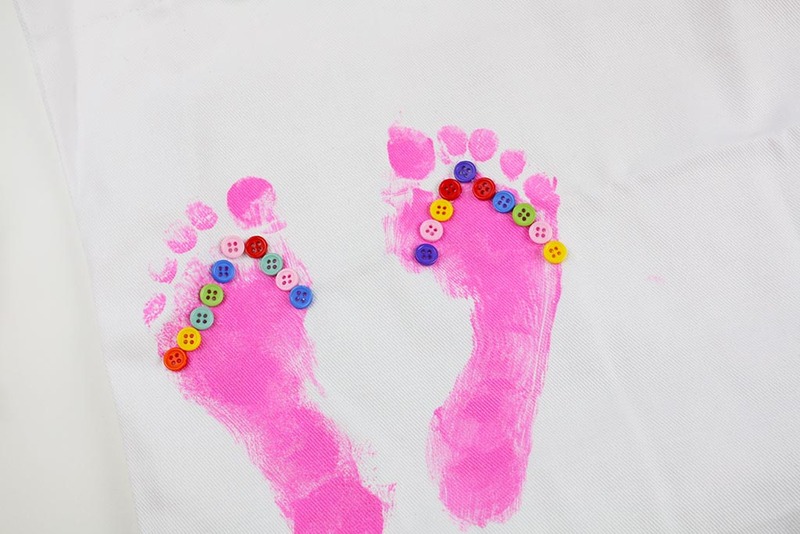 Paint the bottom of your child’s foot, making sure to cover it. 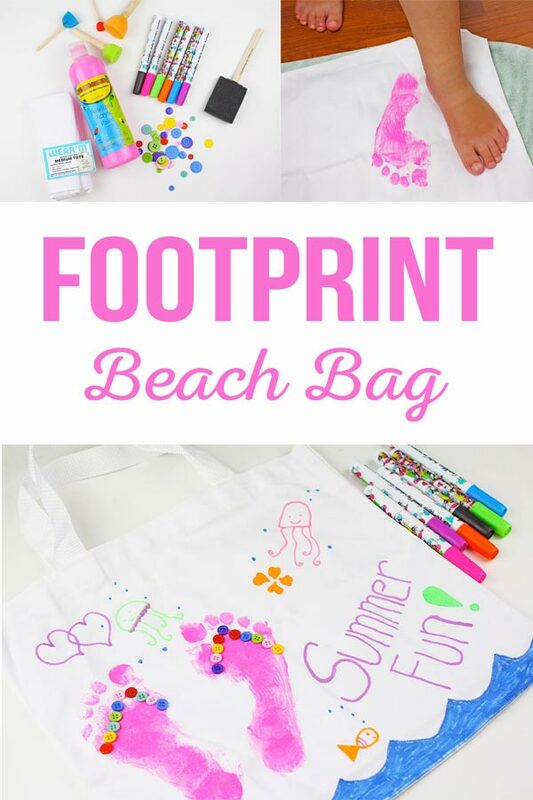 Decide where you want the footprints and then gently press the foot onto the bag. Repeat with opposite foot. Let the paint dry throughly. 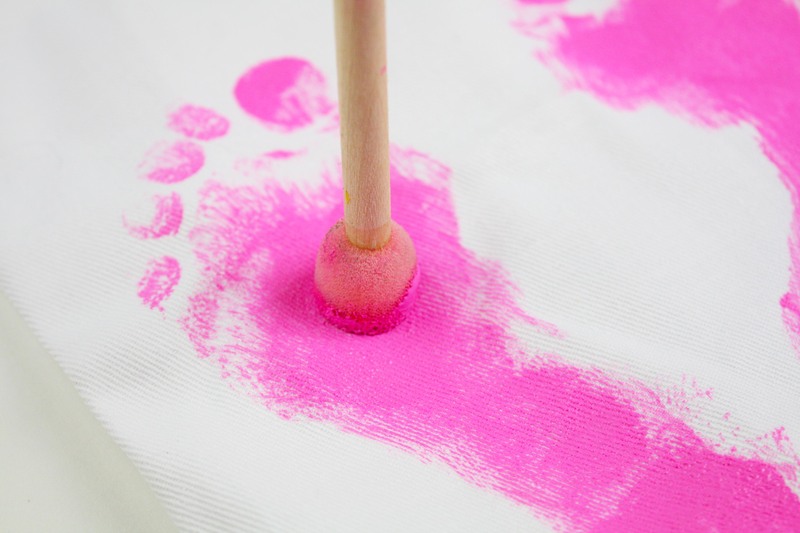 Fill in any blank areas with a small foam paint sponge. Once the paint has dried, hot glue small craft buttons on the feet for the flip flop straps. Isn’t it cute? Annie just LOVED painting her feet, ha ha. Now it is time to doodle! 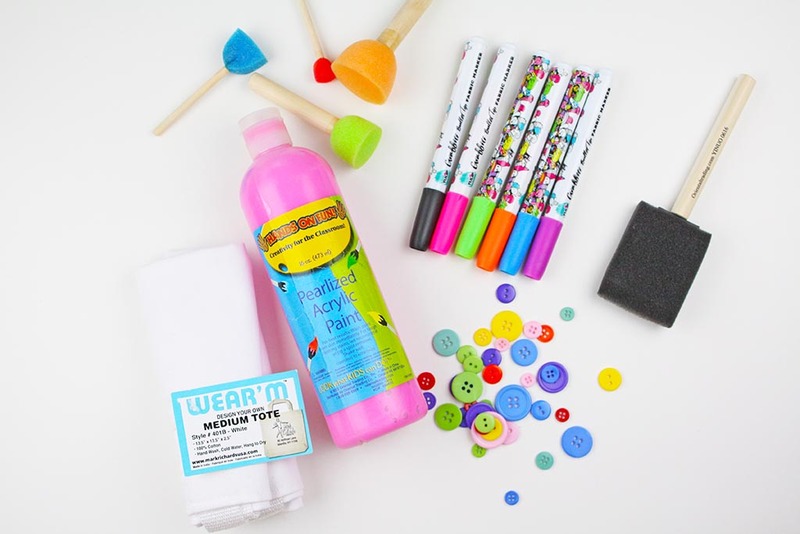 We found these cool, neon fabric graffiti markers that are vibrant and totally pop. 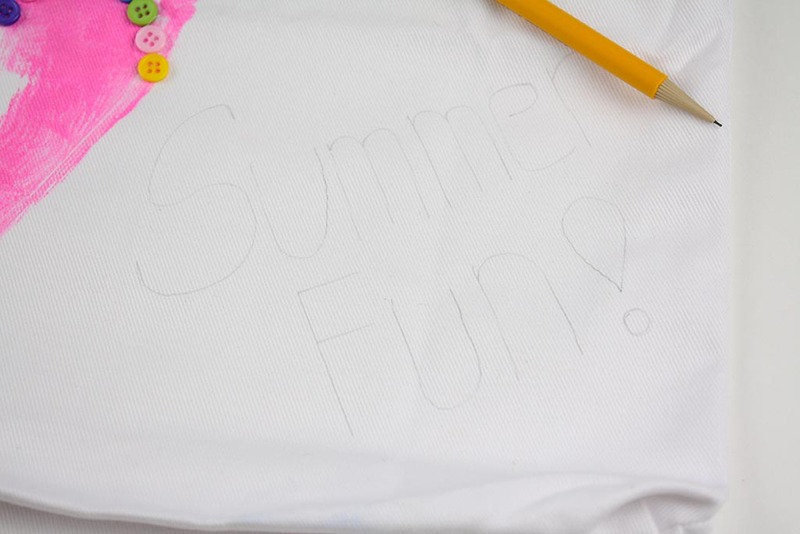 If you want to write your child’s name or fun summer words, I reccommend tracing the letters with a pencil first and then going over them with the graffiti markers. The girls had fun adding doodle drawings like the jelly fish, hearts and goldfish! We added some waves at the bottom of the bag. There you have it, a cute beach bag for summer!